Development of 3d terrain for virtual world development. 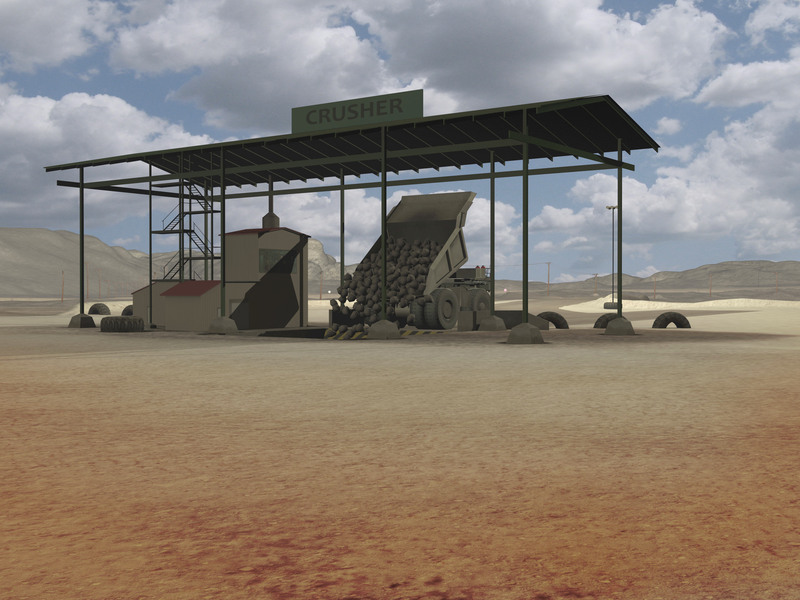 New three screen start up panoramic image of the mine world simulation. 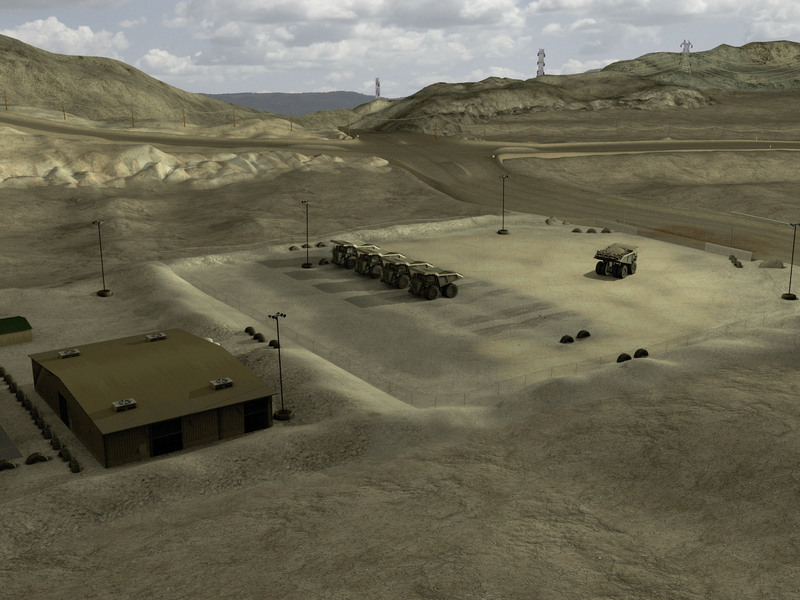 George developed this mine terrain for simulated training for Doron Precision Systems. This screen represents what is displayed on a three screen rap around viewing platform. 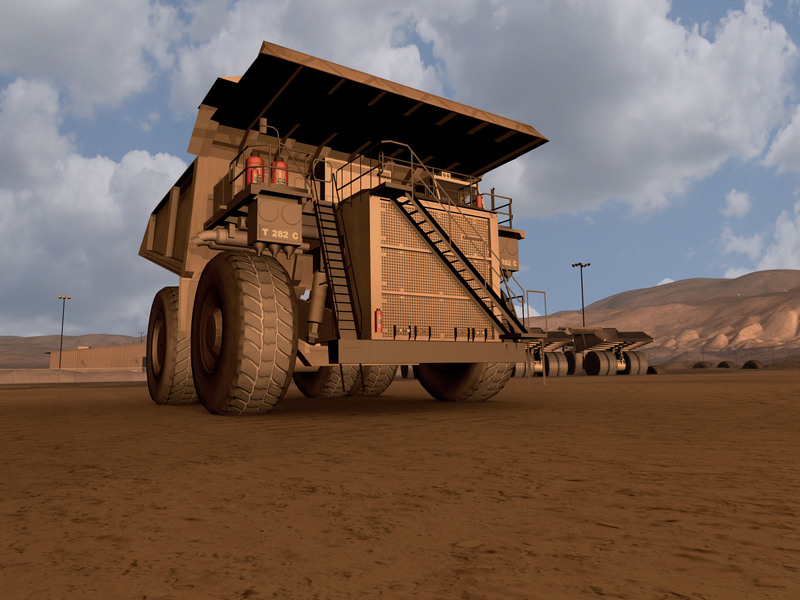 As the virtual world is going through its loading process this panoramic rendering of the mine terrain is displayed with loading messages.